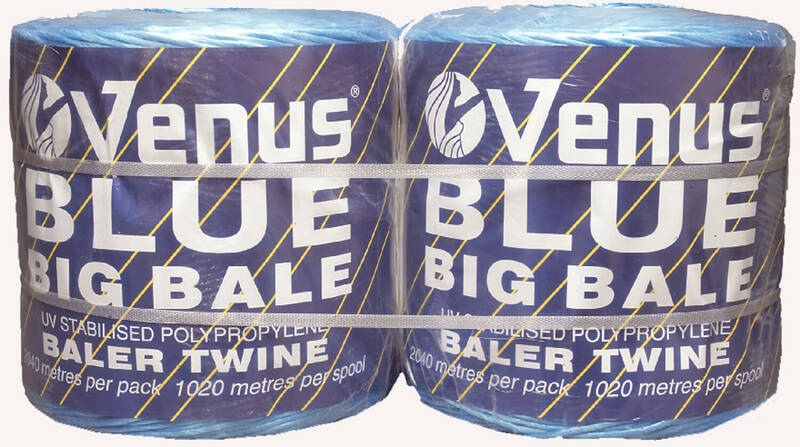 Our Big Bale Twine range offers heavy duty UV stabilised polypropylene twines for all big bales and is suitable for use in all balers and any crop. 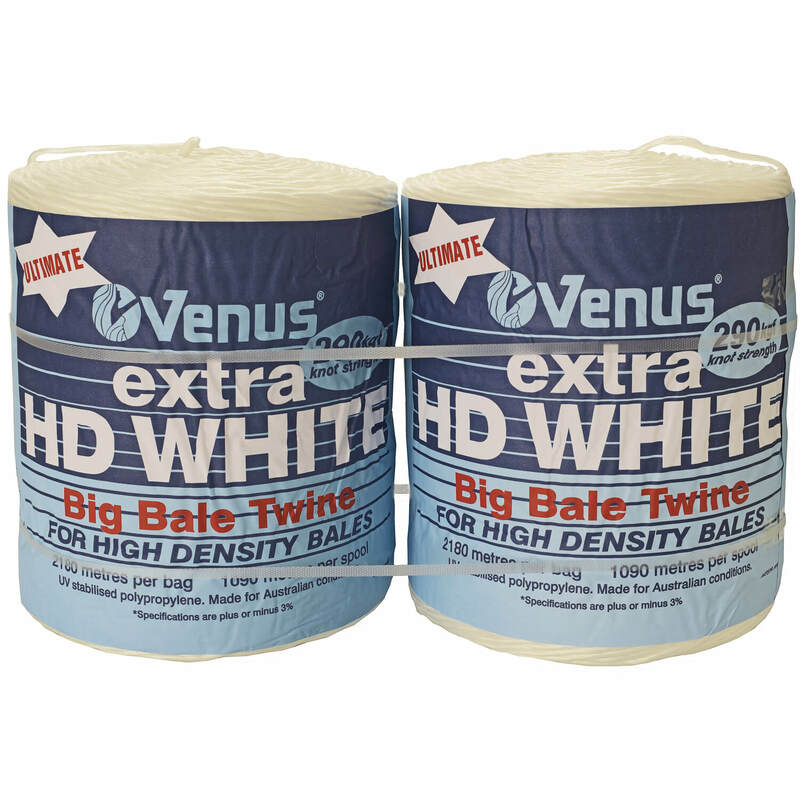 For high density, low moisture content baling with the Massey Ferguson XD baler. 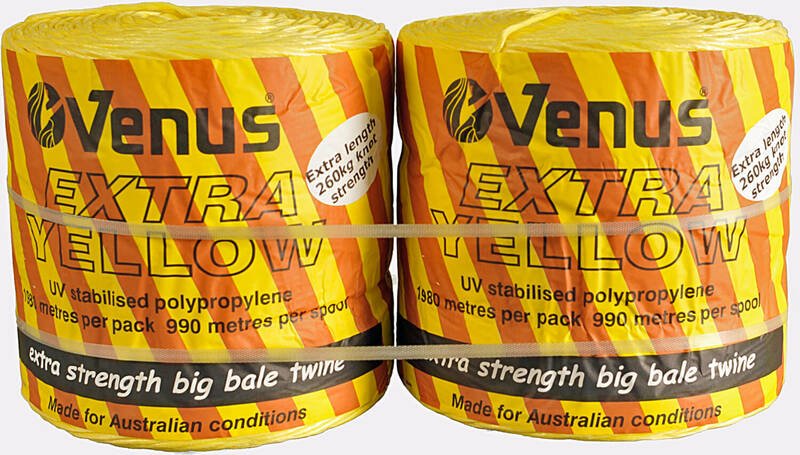 Venus Extra Yellow is designed for high density, low moisture content baling. 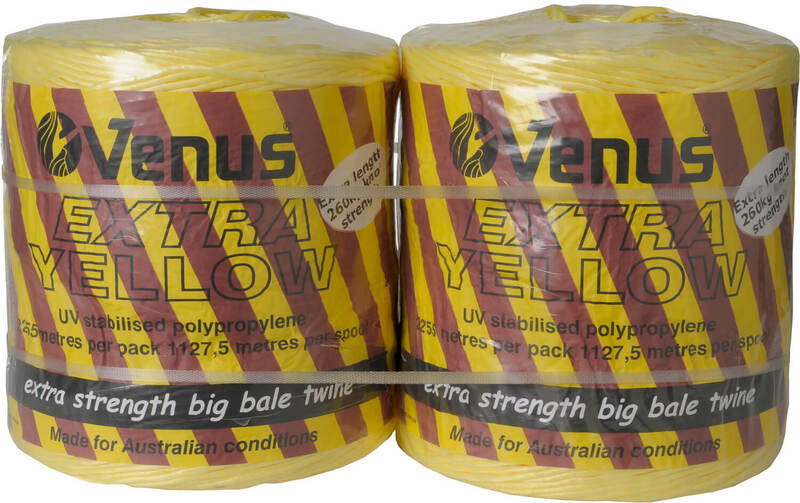 Used for many years in all balers but recently very successful with the Massey Ferguson XD baler. 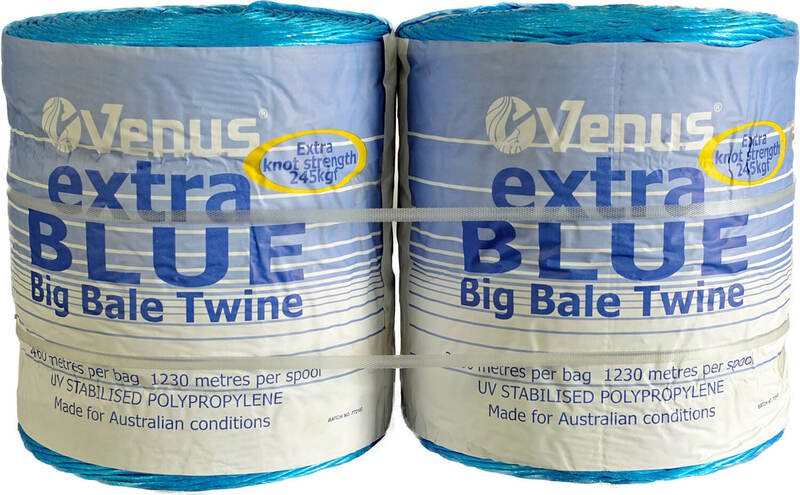 Venus Extra Blue is proven over decades for use in standard big square balers. 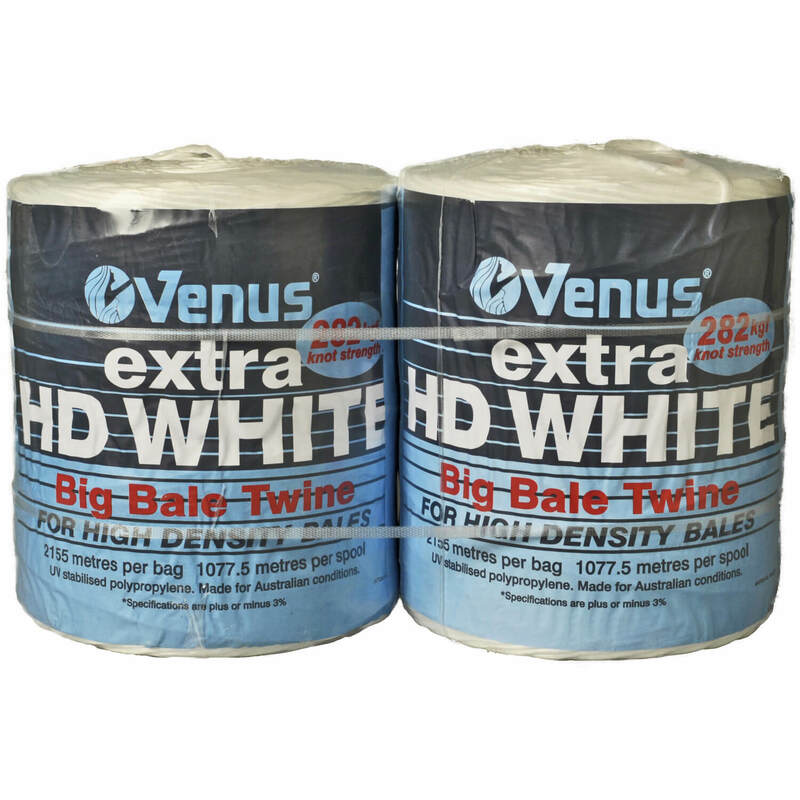 Like the Venus Extra Blue (above), but lighter weight pack. 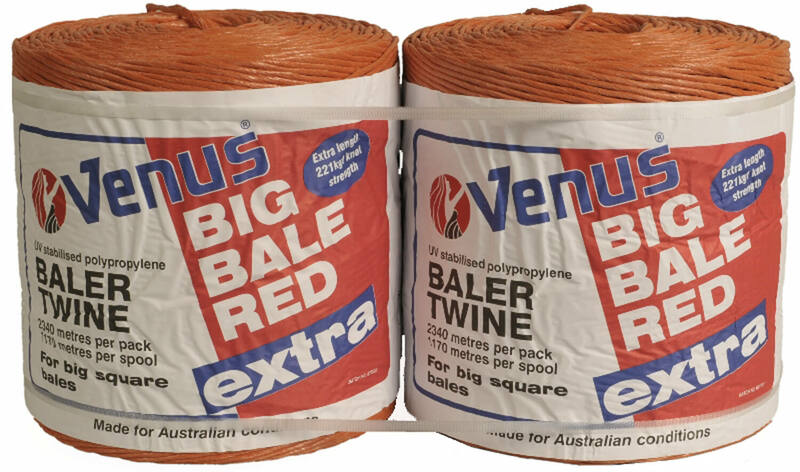 Venus Extra Big Bale Red is ideal for medium density bales in all big square balers. 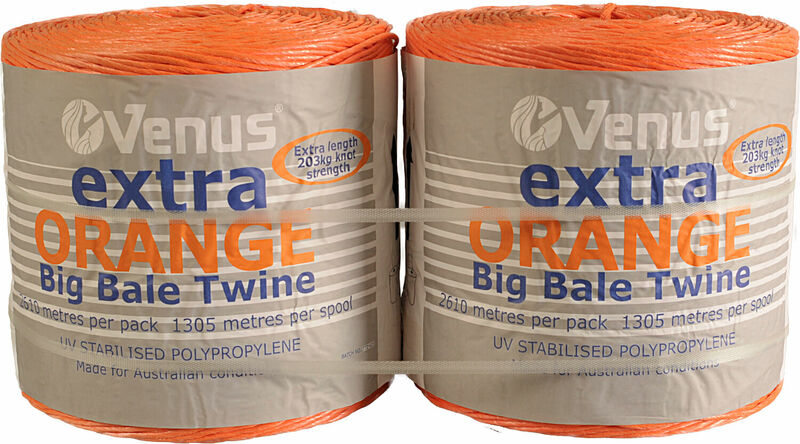 Venus Extra Orange Big Bale Twine is great for medium square balers and for economy where high density and low moisture content are not required.